ARM processors are invading HPC and supercomputer segments. The Power9 is getting closer and closer to general commercial availability. IBM unveiled not one but two new quantum computers. Meanwhile, the Z continues to roll right along without skipping a beat, according to BMC’s 12th mainframe survey. There is no doubt that the computing landscape is changing dramatically and will continue to change. Yet mainframe shops appear to be taking it all in stride. As Mark Wilson reported on the recently completed SHARE Europe conference in the UK, citing the keynote delivered by Compuware’s CEO Chris O’Malley: “By design, the post-modern mainframe is the most future ready platform in the world: the most reliable, securable, scalable, and cost efficient. Unsurprisingly, the mainframe remains the dominant, growing, and vital backbone for the worldwide economy. However, outdated processes and tools ensnared in an apathetic culture doggedly resistant to change, prevent far too many enterprises from unleashing its unique technical virtues and business value.” If you doubt we are entering the post-modern mainframe era just look at the LinuxONE Emperor II or the z14. Everyone from prestigious executives like O’Malley to a small army of IBMers to lowly bloggers and analysts like DancingDinosaur have been pounding away at discrediting these myths for years. And this isn’t the first survey to thoroughly discredit mainframe skeptics. The mainframe is growing: 48% of respondents saw MIPS growth in the last 12 months, over 50% of respondents forecast MIPS growth in the next 12 months, and 71% of large shops (10,000 MIPS or more) experienced MIPS growth in the last year. Better yet, these same shops forecast more growth in the next 12 months. Maybe my favorite myth is that younger people have given up on the mainframe. BMC found that 53% of respondents are under age 50 and of this group, (age 30-49 with under 10 years of experience) overwhelmingly report a very positive view of the the mainframe future. The majority went so far as to say they see the workload of their mainframe growing and also view the mainframe as having a strong position of growth in the industry overall. This is reinforced by the growth of IBM’s Master of the Mainframe competition, which attracts young people in droves, over 85,000 to date, to work with the so-called obsolete mainframe. And the mainframe, both the Z and the LinuxONE, is packed with technology that will continue to attract young people: Linux, Docker, Kubernetes, Java, Spark, and support for a wide range of both relational databases like DB2 and NoSQL databases like MongoDB. They use this technology to do mobile, IoT, blockchain, and more. Granted most mainframe shops are not ready yet to run these kinds of workloads. IBM, however, even introduced new container pricing for the new Z to encourage such workloads. John McKenny, BMC’s VP of Strategy, has noticed growing interest in new workloads. “Yes, they continue to be mainly transactional applications but they are aimed to support new digital workloads too, such as doing business with mobile devices,” he noted. Mobility and analytics, he added, are used increasingly to improve operations, and just about every mainframe shop has some form of cloud computing, often multiple clouds. The adoption of Linux on the mainframe a decade ago imediatey put an end to the threat posed by x86. Since then, IBM has become a poster child for open source and a slew of new technologies, from Java to Hadoop to Spark to whatever comes next. Although traditional mainframe data centers have been slow to adopt these new technologies some are starting, and that along with innovative machines like the z14 and LinuxONE Emperor ll are what, ultimately, will keep the mainframe young and competitive. BMC’s 2016 mainframe survey, covered by DancingDinosaur here, both directly and indirectly pointed to increased activity in regard to data center applications. Mainly this took the form of increased interest in Java on the z as a platform for new applications. Specifically, 72% of overall respondents reported using Java today while 88% reported plans to increase their use Java. At the same time, the use of Linux on the z has been steadily growing year over year; 41% in 2014, 48% in 2015, 52% in 2016. This growth of both point to a heightened interest in application development, management, and change. IBM has been feeding this kind of AppDev interest with its continued enhancement of Bluemix and the rollout of the Bluemix Garage method. More recently, it recently announced a partnership with Topcoder, a global software development community comprised of more than one million designers, developers, data scientists, and competitive programmers with the aim of stimulating developers looking to harness the power of Watson to create the next generation AI apps, APIs, and solutions. To further drive the cultivation of this new style of developer, IBM is encouraging participation in Topcoder-run hackathons and coding competitions. Here developers can easily access a range of Watson services – such as Conversation, Sentiment Analysis, or speech APIs – to build powerful new tools with the help of cognitive computing and artificial intelligence. Topcoder hosts 7,000 code challenges a year and has awarded $80 million to its community. In addition, now developers will have the opportunity to showcase and monetize their solutions on the IBM Marketplace, while businesses will be able to access a new pipeline of talent experienced with Watson and AI. In addition to a variety of academic partnerships, IBM recently announced the introduction of an AI Nano degree program with Udacity to help developers establish a foundational understanding of artificial intelligence. Plus, IBM offers the IBM Learning Lab, which features more than 100 curated online courses and cognitive uses cases from providers like Codeacademy, Coursera, Big Data University, and Udacity. Don’t forget, IBM DeveloperWorks, which offers how-to tutorials and courses on IBM tools and open standard technologies for all phases of the app dev lifecycle. To keep the AI development push going, recently IBM unveiled the experimental release of Project Intu, a new system-agnostic platform designed to enable embodied cognition. The new platform allows developers to embed Watson functions into various end-user devices, offering a next generation architecture for building cognitive-enabled experiences. Project Intu is accessible via the Watson Developer Cloud and also available on Intu Gateway and GitHub. The initiative simplifies the process for developers wanting to create cognitive experiences in various form factors such as spaces, avatars, robots, or IoT devices. In effect, it extends cognitive technology into the physical world. The platform enables devices to interact more naturally with users, triggering different emotions and behaviors and creating more meaningful and immersive experiences for users. Developers can simplify and integrate Watson services, such as Conversation, Language, and Visual Recognition with the capabilities of the device to act out the interaction with the user. Instead of a developer needing to program each individual movement of a device or avatar, Project Intu makes it easy to combine movements that are appropriate for performing specific tasks like assisting a customer in a retail setting or greeting a visitor in a hotel in a way that is natural for the visitor. Project Intu is changing how developers make architectural decisions about integrating different cognitive services into an end-user experience – such as what actions the systems will take and what will trigger a device’s particular functionality. Project Intu offers developers a ready-made environment on which to build cognitive experiences running on a wide variety of operating systems – from Raspberry PI to MacOS, Windows to Linux machines. For those z data centers surveyed by BMC that worried about keeping up with Java and big data, AI adds yet an entirely new level of complexity. Fortunately, the tools to work with it are rapidly falling into place. No surprise there. BMC’s 11th annual mainframe survey covering 1,200 mainframe executives and tech professionals found 58% of respondents reported usage of the mainframe is increasing as they look to capitalize on every infrastructure advantage it provides and add more workloads. Another 23% consider the mainframe as the best option to run critical work. Driving the continuing interest in the mainframe are the new demands for data handling, scalable processing, analytics, and more. According to the BMC survey nearly 60% of companies are seeing increased data and transaction volumes. They opt to stay with the mainframe for its highly secure, superior data handling and transaction serving, particularly as digital business adds unpredictability and volatility to workloads. Overall respondents fell into three primary groups: 1) entrenched mainframe shops, 58% that are on board for the long haul; 2) shops, 23% that intend to maintain a steady amount of work on the mainframe; and 3) the 19% that are moving away from the mainframe. The first two groups, committed mainframe shops, amount to just over survey 80% of the respondents. Many companies surveyed are focused on addressing the increased workload demands, especially the rapidly growing demand for new applications. But surprisingly, the survey does not directly touch on hybrid cloud, cognitive computing or any of the latest technologies IBM has been promoting, not even DevOps, which can streamline mainframe application development and deployment. “We are not hearing much about a hybrid cloud environments or blockchain yet. Most companies seem to be in the early tire kicking stage, observed John McKenny, BMC Vice President, Strategy and Operations. Eighty-eight percent of companies in the first group, entrenched mainframe shops, for example, are looking to increase the workloads they run on Java on the mainframe, primarily to address new application demands. It also doesn’t hurt that Java on the mainframe also can help lower data center costs by directing workloads to lower cost assist processors. Those looking to reduce mainframe presence cited three reasons: 1) perception of high cost, 2) outdated management understanding, and 3) looking for ways to reduce workloads over time. DancingDinosaur has spoken with mainframe shops intending to migrate off the z and they cite the usual reasons, especially #1 above. Top mainframe priorities for 2016 according to the BMC survey: Cost reduction/optimization (65%); data privacy, compliance, security (50%); application availability (49%); application modernization (41%. Responses indicated the priorities for next year haven’t changed at all. Surprisingly, many of the latest technologies for the z that IBM has touted recently have not yet shown up in the BMC survey responses, except maybe Java and Linux. This would include hybrid clouds, blockchain, IoT, and cognitive computing. IDC, for example, already is projecting cognitive computing to grow at a CAGR of 55.1% from 2016 to 2020. For z shops, however, cognitive computing appears almost invisible. In some case with surveys like this you need to read between the lines. Where respondents report changes in activity levels driving application growth or the growth of interest in Java or the frequency of application changes and references to operational analytics they’re making oblique references to mobile or big data or even cognitive computing or other recent technologies for the z. At its best, the BMC notes that digital technologies are transforming the ways in which mainframe shops conduct business and interact with their customers. Adds BMC mainframe customer Credit Suisse: “IT departments are moving toward centralized, virtualized, and highly automated environments. This is being pursued to drive cost and processing efficiencies. Many companies realize that the Mainframe has provided these benefits for many years and is a mature and stable environment,” said Frank Cortell, Credit Suisse Director of Information Technology. A large European financial services firm increasingly handles a lot of critical transaction functions with Java running through CICS and WebSphere. As the firm looks forward, its managers see Java playing a bigger and more critical role in its core business as it shifts more of its business functionality to agile programming in Java. This firm is not even thinking about abandoning its workhorse COBOL code ever, but all new work is being directed to Java. With that in mind, BMC last week announced MainView for Java Environments, part of BMC’s MainView integrated systems management suite of tools that provides insight into how Java is consuming resources and affecting application performance on the z System. It is no surprise, therefore, that the firm became an early beta user for MainView for Java Environments. According to a BMC survey, 93% of mainframe organizations in a recent BMC survey said Java usage is growing or steady, and Java is the language of choice for writing new or rewriting existing mainframe applications. BMC MainView for Java Environments provides insight into Java resource usage and how it impacts other workloads and applications. For example it automatically discovers all the Java Virtual Machines (JVMs) across z/OS. That alone can help with identifying performance problems in an effort to find and fix problems fast. Java is the key to both performance and cost savings by running on zIIP assist processors. Java workloads, however, can affect performance and availability on the mainframe, as they consume system resources without regard for the needs of other applications or services, which is another reason why zIIP is essentially. Also, an integrated management approach gives IT operations a holistic view of the environment to quickly and easily discover Java Virtual Machines (JVMs) and to manage the effect of their resource consumption on application performance. Java was the first object oriented programming language DancingDinosaur tried. Never got good enough to try it on real production work, but here’s what made it appealing: fully object oriented, produces truly portable write-once, run-anywhere code (mainly because it results in Java virtual machine bytecode) and had automatic garbage collection. For a run-of-the-mill programmer, Java was a joy compared to C or, ugh, COBOL. Some of the new languages becoming popular today, the ones driving mobile and cloud and analytics apps look even easier, but DancingDinosaur would feel too embarrassed to sit in a programming class with twenty-somethings the age of his daughters. Java usage today, according to the BMC survey, is growing or steady, while Java has become the language of choice for writing new or rewriting existing mainframe applications. The only drawback may be that Java workloads can affect performance and resource availability on the mainframe as JVMs consume system resources oblivious to the needs of other applications or services or the cost of uncontrolled resource consumption, which is what Java unrestrained produces. An integrated management approach that allows for a holistic view of the environment can quickly and easily discover JVMs and manage can constrain the effects on resource consumption on application performance and offset any drawback. Explained Tim Grieser, program vice president, at IDC’s Enterprise System Management Software: “Since Java manages its own resources it can consume excessive amounts of processor time and memory resources leading to performance or availability problems if not proactively managed.” The key being proactively managed. BMC’s MainView for Java Environments promises exactly that kind of proactive management by monitoring z/OS Java runtime environments and provides a consolidated view of all resources being consumed. This will enable system admins and operators to identify and manage performance issues before they impact end users. “Java on the mainframe is being used to develop and deploy new applications faster and more economically to meet dynamically changing digital business needs and to take advantage of widely available programming skills” IDC’s Grieser continued. Something like BMC’s MainView for Java Environments can be used to constrain Java. IBM’s Omegamon can fulfill a similar function. 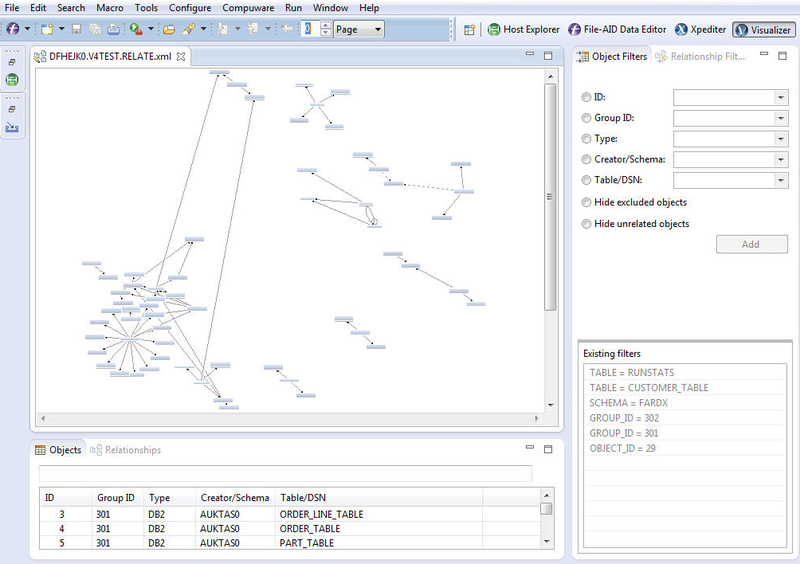 According to the financial firm beta test manager, with BMC’s MainView for Java Environments tool, Java can be effectively used to unlock Java’s potential on the mainframe vital in a changing application and systems environment as part of an integrated performance management solution that discovers and monitors JVMs. As such, it provides a single graphical console which enables you to quickly understand the Java applications impact on resources and its effect on the performance of other applications and transactions. The solution promises to improve application performance and ensure availability while reducing Mean Time to Repair (MTTR) and lowering Monthly License Charges (MLC) by monitoring zIIP offloading, which is the key to both performance and cost management. DancingDinosaur is Alan Radding, a veteran information technology analyst and writer and occasional wanna-be programmer. Please follow DancingDinosaur on Twitter, @mainframeblog. See more of his IT writing at technologywriter.com and here. Last February, Compuware and BMC announced a joint initiative to coordinate the use of their respective tools, BMC Cost Analyzer, BMC MainView, and Compuware Strobe, to reduce mainframe software licensing cost. DancingDinosaur wrote about it here. The announcement made this week confirms that the necessary integration between the various tools has been completed and is working as promised. Compuware this month also introduced the latest rev of its Topaz graphical management toolset for the z. The tight integration between the BMC and Compuware tools enables mainframe staff to quickly and easily identify tuning opportunities that will have the greatest impact on their monthly software licensing costs. They do this by applying BMC Cost Analyzer’s visual mapping to the detailed batch and transaction information provided by Compuware Strobe. The cost savings result from moving workloads to non-peak periods, running IBM subsystems on fewer LPARs, and capping LPAR utilization. Driving the need for this is the continuing growth of mainframe workloads, which are being pushed today by mobile workloads and, down the road, by new IoT workloads. These workloads already are driving up the Monthly License Charge (MLC) for IBM mainframe software, which led IBM to initiate z/OS discounts for mobile workloads on the z as well as introduce its new ICAP and country multiplex pricing. Compuware estimates that the integrated tools alone can reduce an organization’s mainframe software licensing costs by 10% or more. Besides discounting mobile workloads, IBM also has been actively working to help organizations drive down mainframe costs in other ways. Moving workloads to z assist processors is a top choice. Another is to take advantage of a variety of IBM discounts; DancingDinosaur’s favorite is the Solution Edition program, which offers the deepest discounts if you can live with the constraints it imposes. And, of course using tools like those from Compuware and BMC can save money every month. At a time when mainframe workloads are growing—Did someone say the mainframe was going away?—this is a sure path to relief. Compuware made a second announcement impacting the mainframe this month. This involved adding capabilities to Topaz, its set of graphical z management tools aimed at millennial workers. The new capabilities address Java on the z, which is a key way to cash in on the savings available by shifting workloads to z assist processors, specifically the zIIP. The announcement is here. Again, DancingDinosaur initially wrote about Topaz earlier this year here. As Compuware describes it, Topaz for Java Performance delivers comprehensive visibility into the performance and behavior of Java batch programs and WebSphere transactions running on the mainframe—including peak CPU utilization of specific Java methods and classes; garbage collection issues such as memory leaks and excessively long collection intervals; and threads that are blocked or not actually doing useful work. According to Tonya Robison, VP Legacy Integrations, Conversion, De-commission at Alfa Insurance: “Topaz is enabling us for a multi-channel, multi-platform future. Its functionality will allow us to work with mainframe and non-mainframe data in a common, visual, and intuitive manner, providing our next-gen developers the same agility and speed as our seasoned IT pros.” Robison is convinced that “products like Topaz will protect our current investments and enable the next generation of application developers.” These are the millennials everyone is trying to attract to the mainframe. Topaz for Program Analysis gives developers intuitive, accurate visibility into the flow of data within their COBOL or PL/l applications—including how data gets into a field; how that field is used to set other fields; and how that field is used in comparisons. This promises to be especially useful for Millennials who may not have a wealth of experience with IBM z Systems. Topaz for Enterprise Data brings high-speed, compression-enabled host-to-host data copying that exploits IBM z Systems zIIP processors, thus reducing the burden on its general processors. This fast, efficient copying enables developers to complete their work more quickly and at less cost. Efforts of Compuware, BMC, and others are rapidly changing the mainframe into an agile platform that can rival distributed platforms. Let’s hope the Millennials notice. DancingDinosaur is Alan Radding, a veteran IT analyst and writer. Please follow DancingDinosaur on Twitter, @mainframeblog. See more of his IT writing on Technologywriter.com and here. This year jumped off to an active start for the mainframe community. The introduction of the z13 in January got things going. Now Compuware and BMC are partnering to integrate offerings of some their mainframe tools to deliver cost-aware workload and performance management. The combined tools promise to reduce mainframe OPEX even as z systems shops try to leverage their high-value mainframe applications, data, and processing capacity to meet rapidly evolving business challenges. Not that things had been quiet before, especially if you consider IBM scrambling to reverse successive quarters on poor financial performance with a slew of initiatives. During that time Compuware went private last fall; about a year earlier BMC went private. Now you have two companies collaborating to deliver tools that will help mainframe shops reduce their software costs. DancingDinosaur has covered previous cost-saving and efficiency initiatives from each of these companies here and here. Driving this collaboration is the incessant growth of new mainframe workloads, which will likely accelerate with the new z13. Such workload growth is continually driving up the Monthly License Charge (MLC) for IBM mainframe software, which for sub-capacity environments are generally impacted by the highest rolling four-hour average (R4HA) of mainframe utilization for all applications on each LPAR, as measured in MSUs. IBM is helping with discounts for mobile workloads and its new ICAP and country multi-plex pricing, which DancingDinosaur covered here, but more is needed. The trick requires continually managing those workloads. In effect, IT can most effectively reduce its sizable IBM z Systems software costs by both 1) tuning each application to minimize its individual consumption of mainframe resources and 2) orchestrating application workloads to minimize the LPAR utilization peaks they generate collectively at any given time. Good idea but not easy to implement in practice. You need automated tools. According to Frank DeSalvo, former research director at Gartner: “The partnership between BMC and Compuware launches an integrated opportunity for mainframe customers to manage workload inefficiencies in a manner that has not been achievable to-date.” This partnership, however, “helps organizations leverage their IT budgets by enabling them to continuously optimize their mainframe workloads, resulting in cost effective decisions for both current and future spending.,” as DeSalvo was quoted in the initial announcement. Specifically, the Compuware-BMC collaboration brings together three products: BMC Cost Analyzer, BMC MainView, and Compuware Strobe. BMC Cost Analyzer for zEnterprise brings a financially intelligent workload management tool that enables z data centers to identify MLC cost drivers and take appropriate measures to reduce those costs. 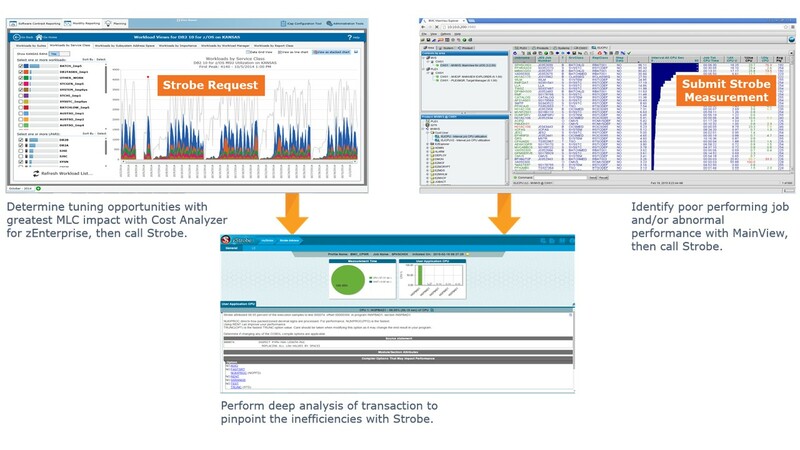 Compuware Strobe delivers deep, granular and highly actionable insight into the behavior of application code in the z systems environment. The partners integrated the products so they actually work together. One integration, for instance, allows BMC Cost Analyzer to call Compuware Strobe for a detailed analysis of the specific application component for peak MLC periods, enabling customers to proactively tune applications that have the greatest impact on their monthly software licensing costs. A second integration with BMC MainView allows customers to either automatically or manually invoke Strobe performance analysis—empowering mainframe staffs to more quickly, efficiently, and consistently when performing cost-saving tuning tasks. BTW, at the same time Compuware introduced the latest version of Strobe, v 5.2. It promises deep insight into how application code—including DB2, COBOL 5.1, IMS and MQ processes—consume resources in z environments. By providing these insights while making it easy for multi-discipline mainframe ops teams to collaborate around these insights Strobe 5.2 enables IT to further drive down mainframe costs. At the same time it improves application responsiveness. Besides the software licensing savings that can result the organization also benefits from performance gains for these applications. These too can be valuable since they positively impact end-user productivity and, more importantly, customer experience. DancingDinosaur feels that any technology you can use to automate and streamline your systems operations will benefit you because people are always more expensive and less efficient than technology. Alan Radding is DancingDinosaur. Follow this blog on Twitter, @mainframeblog. View my other IT writing at Technologywriter.com and here. With most of the over 1100 respondents (91%) reporting that the mainframe remains a viable long-term platform for them and a clear majority (60%) expecting to increase MIPS due to the normal growth of legacy applications and new application workloads the z continues to remain well entrenched. Check out the results for yourself here. Maybe even more reassurance comes from almost half the respondents who reported that they expect the mainframe to attract and grow new workloads. Most likely these will be Java and Linux workloads but one-third of the respondents listed cloud as a priority, jumping it up to sixth on the list of mainframe priorities. Mobile was cited as priority by 27% of the respondents followed by big data with 26% respondents. Apparently IBM’s steady promotion of cloud, mobile, and big data for the z over the past year is working. At Enterprise2014 IBM even made a big news with real time analytics and Hadoop on the z along with a slew of related announcements. That new workloads like cloud, mobile, and big data made it into the respondents’ top 10 IT priorities for the year didn’t surprise Jonathan Adams, BMC vice president/general manager for z solutions. The ease of developing in Java and its portability make it a natural for new workloads today, he noted. In the survey IT cost reduction/optimization tops the list of IT priorities for 2014 by a large margin, 70% of respondents, followed by application availability, 52%. Rounding out the top five are application modernization with 48%, data privacy, 47%, and business/IT alignment, 44%. Outsourcing finished out the top 10 priorities with 16%. When asked to look ahead in terms of MIPS growth, the large majority of respondents expected growth to continue or at least remain steady. Only 9% expected MIPS to decline and 6% expected to eliminate the mainframe. This number has remained consistent for years, noted Adams. DancingDinosaur periodically checks in with shops that announce plans to eliminate their mainframe and finds that a year later many have barely made any progress. The top mainframe advantages shouldn’t surprise you: availability (53%); security (51%); centralized data serving (47%) and transaction throughput (42%). More interesting results emerged when the respondents addressed new workloads. The mainframe’s cloud role includes data access (33%), cloud management from Linux on z (22%) and dynamic test environments via self-service (15%). Surprisingly, when it comes to big data analytics, 34% report that the mainframe acts as their analytics engine. This wasn’t supposed to be the case, at least not until BigInsights and Hadoop on z gained more traction. Meanwhile, 28% say they move data off platform for analytics, and 14% report they federate mainframe data to an off-platform analytics engine. Yet, more than 81% now incorporate the mainframe into their Big Data strategy, up from 70% previously. The non-finance industries are somewhat more likely to use the mainframe as the big data engine, BMC noted. Those concerned with cost should seriously consider doing their analytics on the z, where the data is. It is costly to keep moving data around. In terms of mobility, making existing applications accessible for mobile ranked as the top issue followed by developing new mobile applications and securing corporate data on mobile devices. Mobile processing increases for transaction volume came in at the bottom of mobility issues, but that will likely change when mobile transactions start impacting peak workload volumes and trigger increased costs. Again, those concerned about costs should consider IBM’s mobile transaction discount, which was covered by DancingDinsosaur here in the spring. Since cost reduction is such a big topic again, the survey respondents offered their cost reduction priorities. Reducing resource usage during peak led the list. Other cost reduction priorities included consolidating mainframe software vendors, exploiting zIIP and specialty engines (which have distinctly lower cost/MIPS), and moving workloads to Linux on z. So, judging from the latest BMC survey the mainframe is far from dead. But at least one recent IT consultant and commentator, John Appleby, seems to think so. This prediction has proven wrong so often that DancingDinosaur has stopped bothering to refute it. BTW, change came to BMC last year in the form of an acquisition by a venture capital group. Adams reports that the new owners have already demonstrated a commitment to continued investment in mainframe technology products, and plans already are underway for next year’s survey. DancingDinosaur is Alan Radding. You can follow him on Twitter, @mainframeblog. Or see more of his writing at Technologywriter.com or in wide-ranging blogs here. BMC Software released its 8th annual mainframe survey, and the results shouldn’t surprise any readers of DancingDinosaur. Get a copy of the results here. The company surveyed over 1000 managers and executives at mainframe shops around the world, mostly BMC customers. Guess you shouldn’t be surprised at how remarkably traditional the respondents’ attitudes about the mainframe are. For example, of the new areas identified by IBM as hot—mobile, cloud, big data, social business—cloud, big data, and mobile barely registered and social was nowhere to be seen. Cloud was listed as one of the top four priorities by 19% of the respondents. Big data was listed as one of the top priorities for the coming year by only 18% of the respondents, the same as mobile. The only topic that was less of a priority was outsourcing at 15%. Where the researchers did drill down into one of the new areas of focus, big data, the biggest number of respondents, 31%, reported identifying the business use case as their biggest challenge. Other challenges were the cost of transforming/loading mainframe data to a centralized data warehouse (24%) followed by the effort such a transformation required (20%). Another 11% noted the lack of ETL tools for business analytics. Ten percent cited lack of knowledge about mainframe data content—huh? That might have been the one thing DancingDinosaur found truly surprising, although without knowing the specific job titles or job descriptions it might not be so surprising after all. When it came to big data, 28% of the respondents expected to move mainframe data off the mainframe for analytics. An almost equal number (27%) expected the mainframe to act as the big data analytic engine. Another 12% reported federating data to an off platform analytics engine. Three percent reported Linux on z for hosting the unstructured data. Moving data off the mainframe for big data analytics can be a slow and costly strategy. One of the benefits of doing big data on the System z or the hybrid zEnterprise/zBX is taking advantage of the proximity of the data. Moving petabytes or even terabytes of data is not a trivial undertaking. For all the hype it’s clear that big data as a business strategy is still in its infancy with much left to be learned. It will be interesting to see what this survey turns up a few years from now. Otherwise, the survey results are very supportive to those who are fighting the seemingly perpetual battle of the mainframe as an end-of-life technology. Almost all the respondents (93%) considered the mainframe a long-term business strategy while almost half (49%) felt the mainframe will continue to grow and attract new workloads. 70% of respondents said the mainframe will have a key role in Big Data plans. No large shops anyway—and only 7% of all respondents—have plans to eliminate their mainframe environment. Glad it’s not worse. Lastly, there still is time to register for IBM’s Enterprise 2013 conference in Orlando. It will combine the System z and the Power Systems technical universities with an Executive Summit. The session programs already are out for the System z and Power Systems tracks. 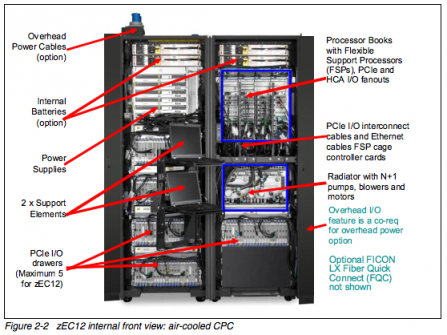 Check out the System z overview here and the Power Systems overview here. DancingDinosaur will be there. In the coming weeks this blog will look more closely some intriguing sessions. Timothy Sipples’ blog Mainframe recently ran a piece listing free software you can get for the System z. The piece, here, is pretty exhaustive, including direct links. In keeping with DancingDinosaur’s continuing search for ways to lower mainframe computing costs, listed below some of Sipples’ freebies; find more in his full piece. While freebies are always welcome, another proven way to lower mainframe costs is by paying close attention to mainframe software usage and costs. For this, BMC introduced a mainframe software cost analyzer tool that promises to reduce mainframe software operating costs by 20%. Called the BMC Cost Analyzer for zEnterprise, it aims to help IT departments plan, report and reduce their mainframe licensing charge (MLC) by identifying system peaks and recommending preemptive cost-reduction strategies. After deploying the BMC Cost Analyzer, a typical customer consuming 5,000 MIPS — at an annual cost of $3.6 million — could save $720,000 or more with the new BMC solution, according to the company. Novell offers its SUSE Linux Enterprise Server for zEnterprise for download to evaluate. If you like it, you’re encouraged to subscribe to Novell’s support services. Red Hat offers its Enterprise Linux for zEnterprise for evaluation, too. Other Linux distributions for zEnterprise include Debian Linux and Fedora Linux. An older release of z/VM is available from IBM for evaluation. A release of the discontinued OpenSolaris is available for zEnterprise from Sine Nomine Associates. ZZSA is not actually an operating system. However, it doesn’t need an operating system to run. It’s a useful set of tools that can start up on a “bare” LPAR on its own. You can display and edit data on disk, and it’s helpful to diagnose IPL problems. IBM makes its Java Software Development Kit (SDK) releases for z/OS available at no additional charge. You may also be interested in the Java technologies available from Dovetailed, such as Co:Z and Tomcat for z/OS. The DB2 Accessories Suite for z/OS (5697-Q02) includes many useful tools and accessories to make DB2 for z/OS more powerful and more useful. Examples include IBM Data Studio, SPSS Modeler Server Scoring Adapter, Spatial Support, International Components for Unicode, and Text Search. Go graphical! You can manage your z/OS system much more easily with graphical interfaces for every major subsystem and component. Grab the z/OS Management Facility. From the Explorer for z/OS you can then use (or directly install) plug-ins for CICS, IMS, IBM’s application development tools, IBM’s problem determination tools, and other products. The XML Toolkit for z/OS (5655-J51) adds to the XML System Services that’s already part of z/OS. IBM offers many more z/OS-related downloads including the IBM Encryption Facility for z/OS Client, Logrec Viewer, LookAt, z/OS UNIX System Service Tools and Toys, and many others. Be sure to install the Alternate Library for REXX to run compiled REXX programs on your z/OS and z/VM systems. Compiled programs won’t run as efficiently as when the regular licensed REXX library is installed, but at least they’ll run. BMC conducts an annual survey of z data centers. This year, as in previous years, cost concerns were the number one issue. The number two concern was business availability. The full survey will be released at the end of this month when DancingDinosaur expects to cover it in a little more detail.